ASTM B729 Alloy 20 Seamless Pipes, UNS N08020 ERW Pipes & Tubes, B729 Alloy 20 Seamless Tubes, Alloy 20 Welded Pipes and Tubes Suppliers, Carpenter 20 Pipes, DIN 2.4660 Pipes and Tubes Exporter, UNS N08020 Pipes and Tubes Dealer, Alloy 20 Tubing in Mumbai, India. Since there are many pipes and tubes available which are fabricated using dissimilar grades and alloys. These pipes and tubes helps in the flow of the fluid from one end to another. To make them highly durable, it is mandatory to use the best quality grade and alloys. And thus, there are two highly popular alloys that used in the manufacturing of the pipes and tubes and that are Alloy 20 and Alloy 20Cb3. Alloy 20 Welded Tubes, ASTM B464 Alloy 20 ERW Pipes & Tubes, Incoloy® alloy 20 Round Pipes, Incoloy® alloy 20 Pipes & Tubes, 20Cb-3® Round Pipes & Tubes, Hastelloy Alloy® 20 Seamless Tubes Manufacturer, WNR. 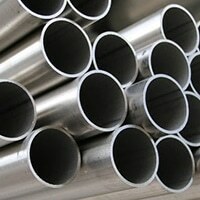 2.4660 Pipe and Tube Distributors in India. Alloy 20 is an austenitic SS that offers some of the best properties and other features. The grade delivers high resistance to corrosion, pitting resistance and great strength at high temperature and strength. The grade has a balanced chemical composition that helps in delivering the best performance even in the cryogenic temperature. About Alloy 20Cb3: Alloy Cb3 is an austenitic SS having excellent resistance to strong acid such as sulfuric and phosphoric acids. The grade exhibits great resistance to stress corrosion, general corrosion, pitting resistance to chloride environment, high strength, great reliability and easy fabricability are some of the properties. Also, the grade has a balanced chemical composition such as carbon, silicon, manganese, phosphorus and silicon that aims to offer the high tensile strength, great yield strength and easy elongation to the pipes and tubes. They are ductile enough to be intermediate annealed, cold worked or work hardened. The forging can take place at a temperature range between 1750 to 2050 degrees F. The welding can be achieved through gas metal arc, gas tungsten arc or shielded metal arc procedures. What is quality tests conducted? Industries have their vision to offer the right product at right price. The trained professionals perform several material tests on Alloy 20 / 20Cb3 Pipes & Tubes in order to ensure its strict quality and efficiency. Tests such as mechanical tests, hardness tests, PMI and IGC tests, and micro and macro tests are some of the tests conducted.